a slightly smaller display (1/5 inch smaller) though the aspect ratio remains the same. 1. 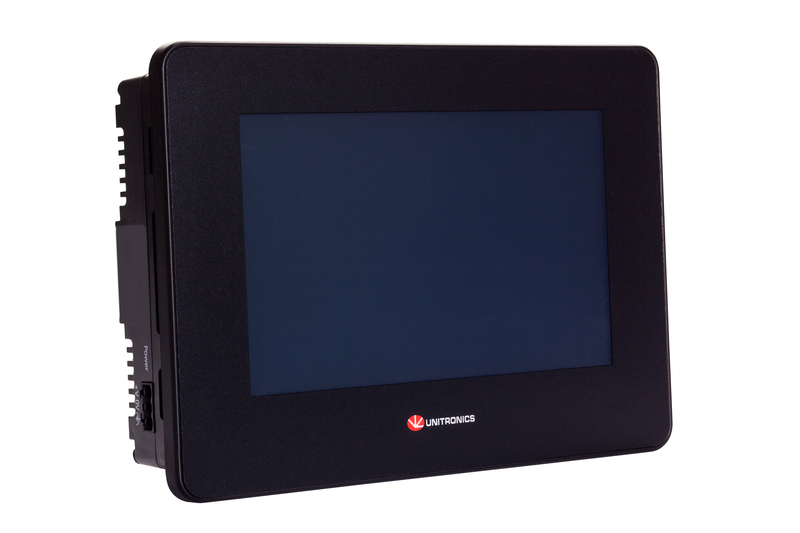 Select your HMI touch panel - 5", 7", 10.4", 15.6"
4. 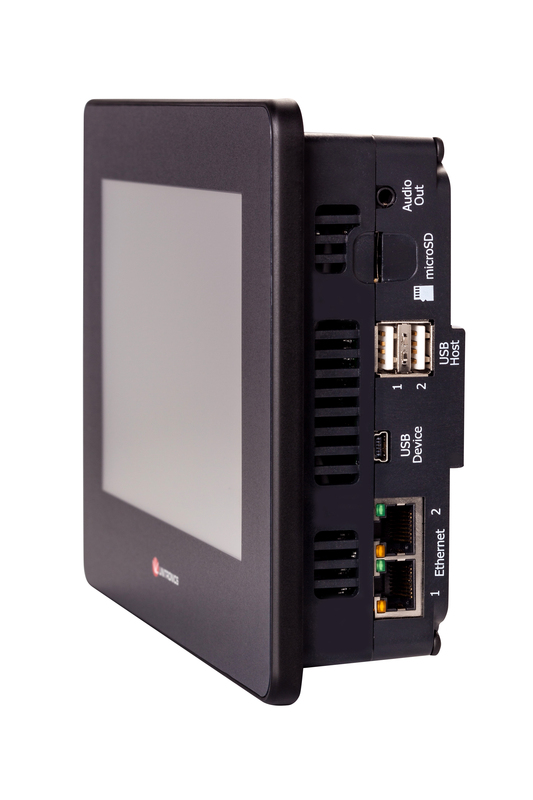 Download and install the intuative easy to use UniLogic Programming Software to seemlessly program your HMI and PLC at the same time in the same environment. 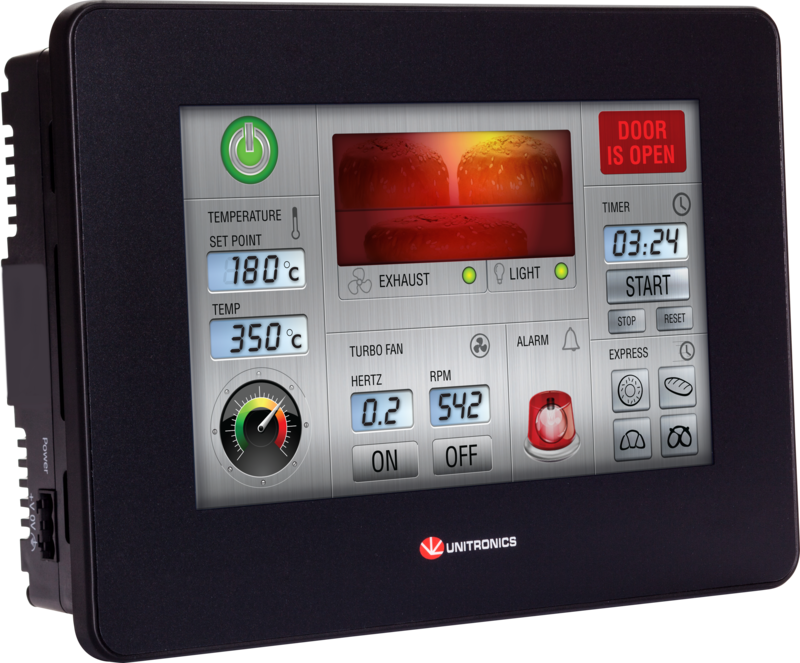 •You will then have a compact control solution complete with an easy to program HMI and PLC tailored to suit your specific requirements. 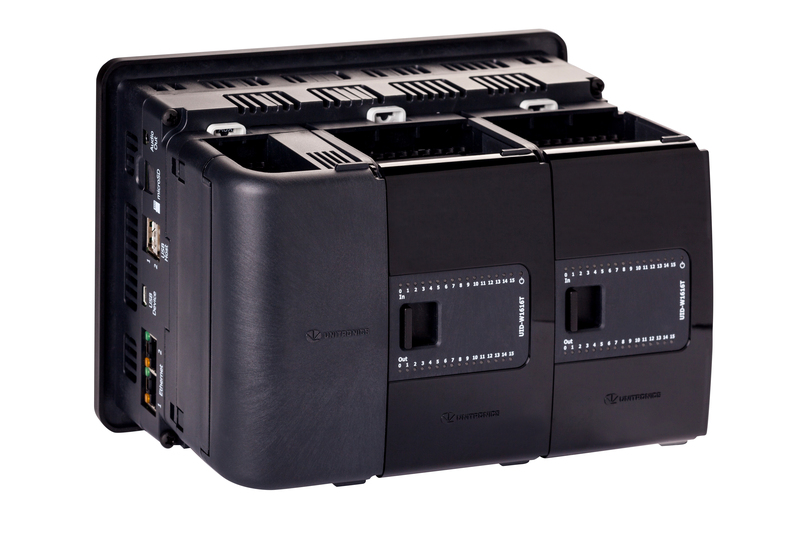 •This control solution can then be expanded as you see fit, a single UniStream CPU supports 80 modules with up to 2,048 onboard, local & remote Inputs & Outputs. The following IO modules are attached directly to the back of the CPU however, both local and remote IO expansion is also available.